They say when you look a certain way, you feel a certain way! Like when you look good, you feel good. 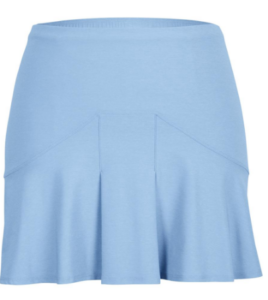 This summer, to keep from getting bogged down with the heat, dress yourself in different shades of blue women’s tennis apparel for your game time! Say hello to Bolle’s Adrienne Collection! If royal blue is your favorite way to stay cool this summer then this collection is a splash of cool water. The print looks like a beautiful mix of marble and the subtle waves on a liquid surface! 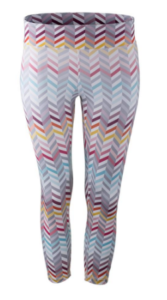 Both color and print make this collection so energizing and perfect to keep your competition awake while at the court! 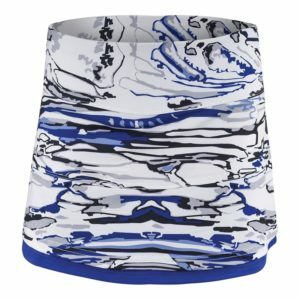 This collection is also great for ladies leagues because you get to choose from five different top design options and four skort color options! 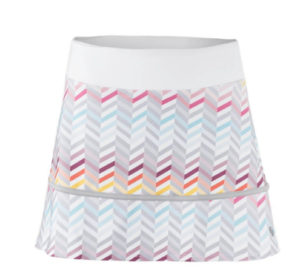 The Tail Wisteria Mist Collection reminds me of the French open! The cool blue on the deep orange color that Tail calls “Reef.” As well the pattern looks like scratches in the dust or dirt. 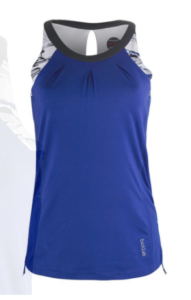 These body-slimming items, like the Nancy Tennis Dress in Wisteria, have all you need to succeed on the court. 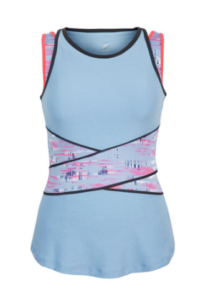 Along with awesome print panels you get double straps, a racerback, bottom mesh hem and UPF 50 protected fabric that blocks 98% of harmful UV rays. That’s one way to walk away from the court happy! 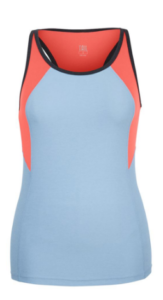 The color blue plays a beautiful undertone in the Lija Tropical Sunrise Collection! 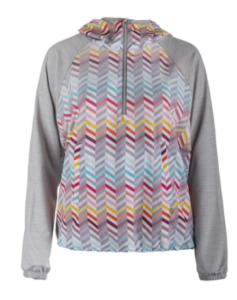 It’s apart of their funky and trippy Zig Zag Print! This modern and innovative print is fun and gives your eye a different perspective depending on where you stand. This ¾ length Fear No Tennis Capri pant can carry you to or from any workout at night confidently thanks to reflective heatsets that keep you shining! 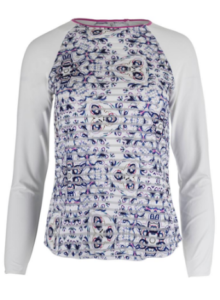 The Denise Cronwall Mosaic Collection is perfect for the girl that’s into elegant prints and Paisley patterns! Offered are two options in tops and a skort that is made from the lightest fabric that’s soft to the touch and GORGEOUS to the eyes! 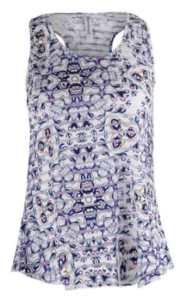 The boho/geo pattern is given a down to earth sense with the partial sheer construction. 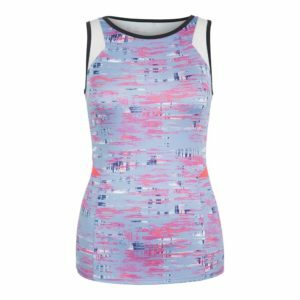 Take this fashionable tennis wear to the court with the advantage of SPF 40+ fabrication, racerback designs, and athletic fits. 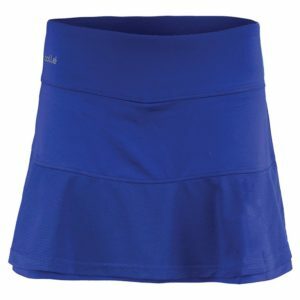 Blue is a big hit this summer season with the French Open underway! 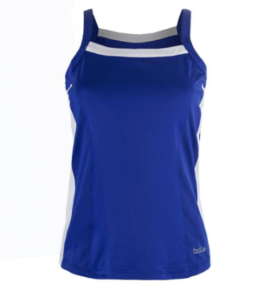 So, whatever your blue mood is, find the right one for you at Tennis Express! Happy shopping!